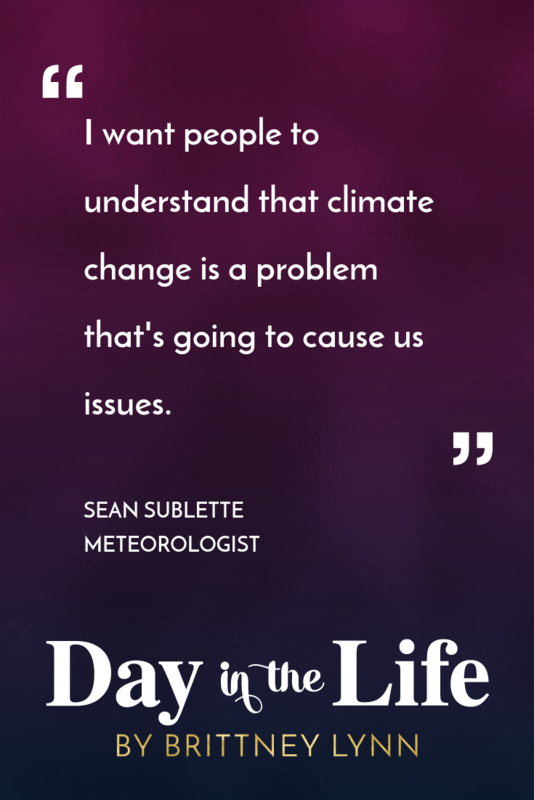 This week I chatted with Sean Sublette who is a meteorologist and I loved his simple advice on how we can all make a big impact on our environment by making small changes in our daily lives. When it comes to making a difference with the effects on our environment, it can seem like a huge daunting task and that there’s no way minor changes can’t help but that’s so not the case! Every little bit adds up and it can add up to massive change. 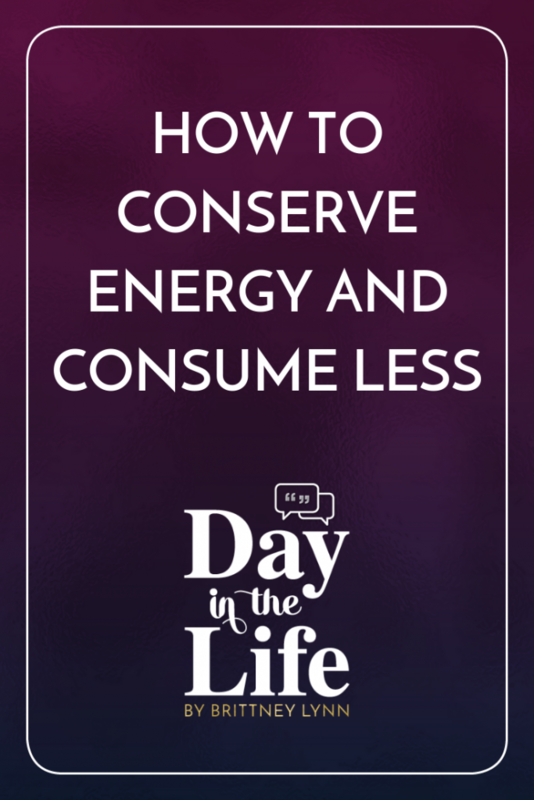 While I do feel like I’m already doing a lot to help conserve energy (we have a smart thermostat, energy efficient appliances, use LED lights) there’s always more I can do so I want this week’s challenge to be all about conserving more energy and reducing my consumption! 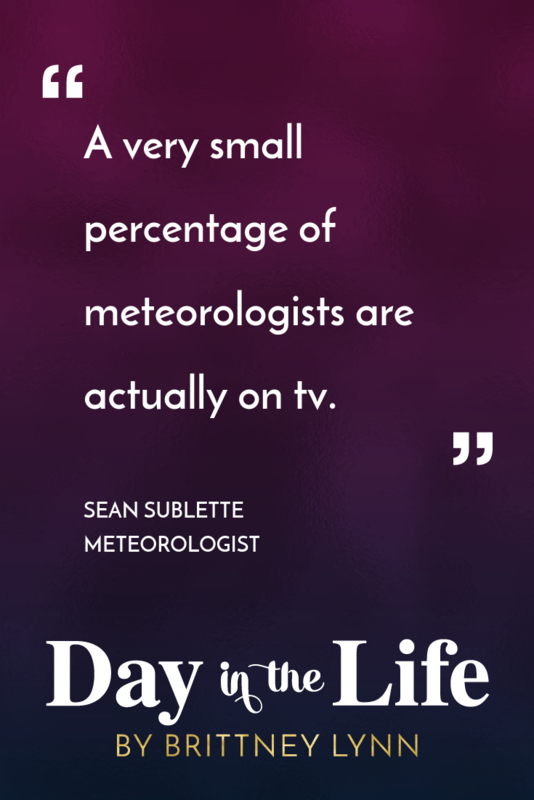 Today’s interview is with Meteorologist Sean Sublette! With all of the hurricanes, wildfires, polar vortexes happening across the US, I thought it’d be interesting to bring on a Meteorologist to talk about what a day in their life is like! Sean shares: what it was like to work as a local network meteorologist and how those days different than the work he does now at Climate Central, his thoughts on climate change and how we can do small, incremental things to have a positive impact on our environment, what exactly is a polar vortex and how it actually plays into climate change, the margin of error in his job and how he handles criticism and so much more! What it’s like to work as a local network meteorologist. Sean’s thoughts on climate change and how it’s related to polar vortexes. What a polar vortex actually is and what causes it. 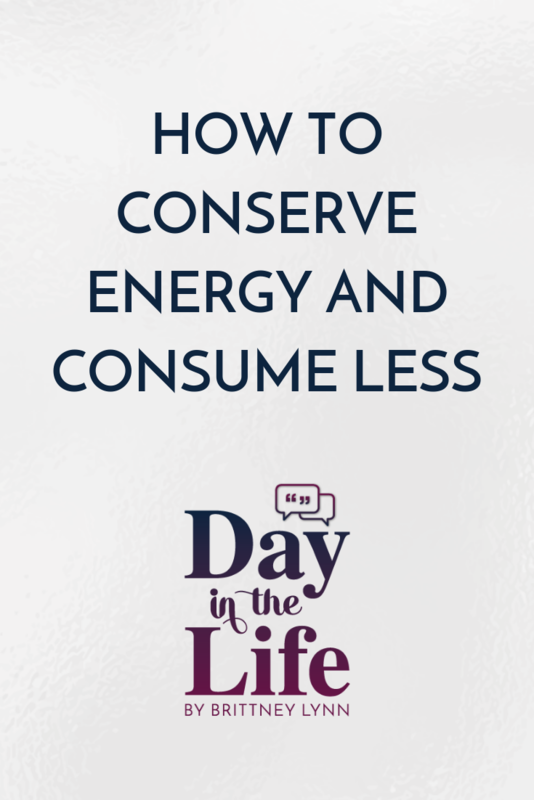 Incremental changes you can make in your life to have a positive impact on our environment. What he struggles with the most in his career. Misconceptions people have about meteorologists. 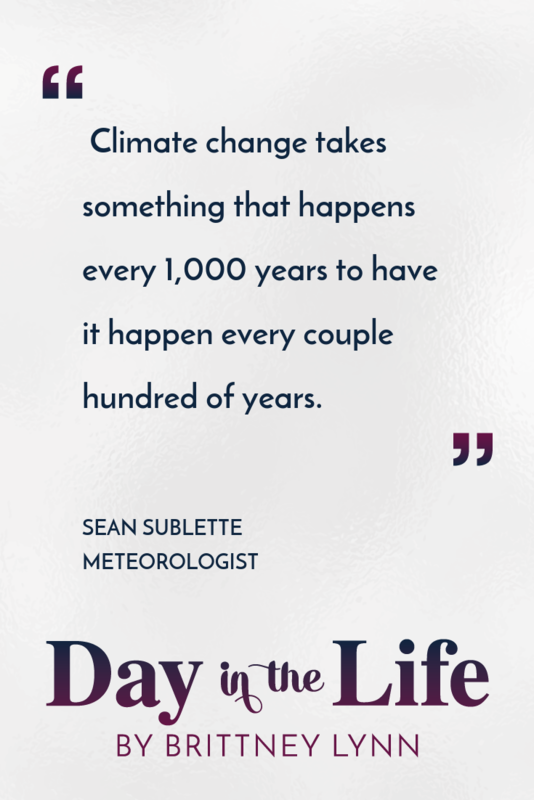 Sean Sublette is working on Climate Central’s Climate Matters program, bringing 19 years of experience as a broadcast meteorologist. Before joining Climate Central, Sublette was Chief Meteorologist at WSET in Lynchburg, Va. Previously, he was morning meteorologist at WSLS in nearby Roanoke. Prior to his promotion to Chief Meteorologist in Lynchburg, the Virginia Association of Broadcasters awarded his team Best Morning Show six times in eight years. Sublette was also an Adjunct Professor at Lynchburg College, teaching two courses: Introductory Climate Science and Meteorology. Before starting his broadcast career, he briefly worked for a federal contractor at NASA Goddard Space Flight Center. He has served on the American Meteorological Society’s Distinguished Science Journalism Award Committee and has been a script reviewer for American Institute of Physics’ Discoveries and Breakthroughs in Science. 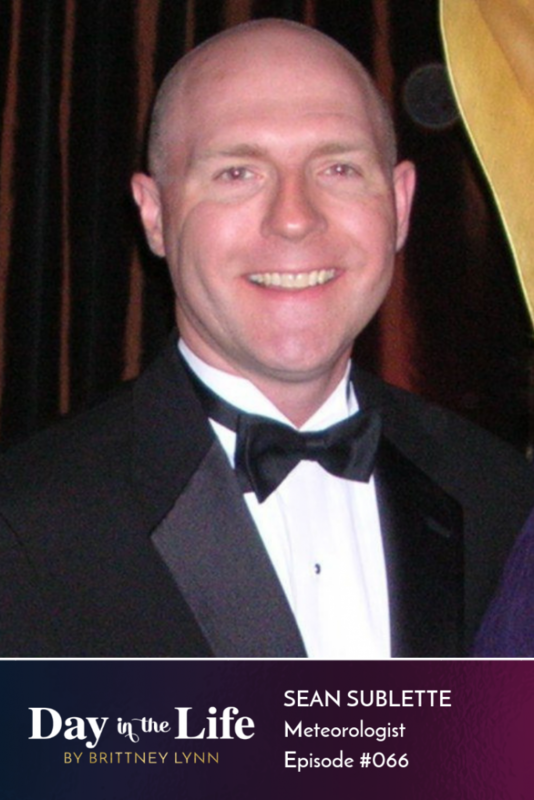 He holds the AMS Certified Broadcast Meteorologist Seal and was a member of the AMS Board of Broadcast Meteorology from 2006-09, serving as Board Chair in 2009. 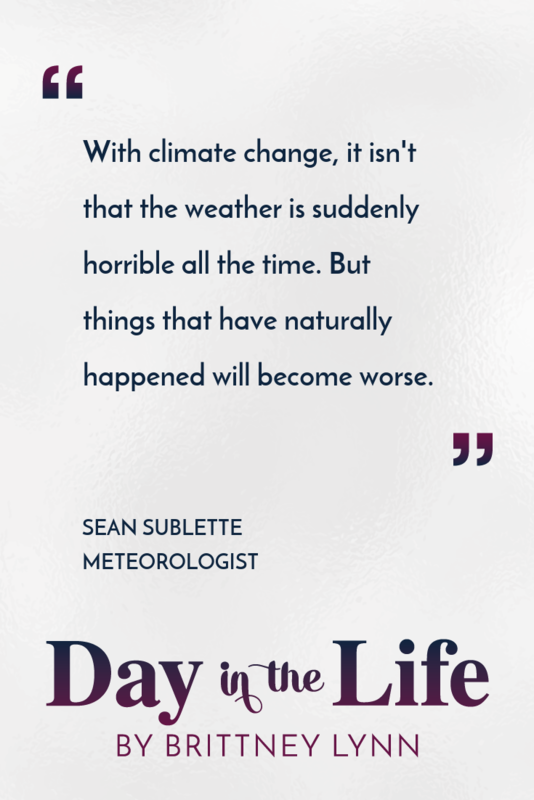 Sublette earned his Master of Science and Bachelor of Science degrees in Meteorology from Penn State. 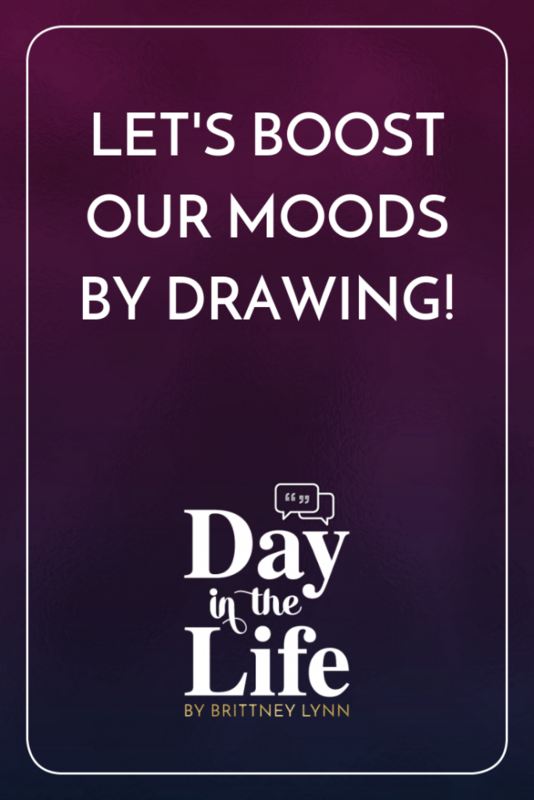 Let’s Boost Our Moods by Drawing! 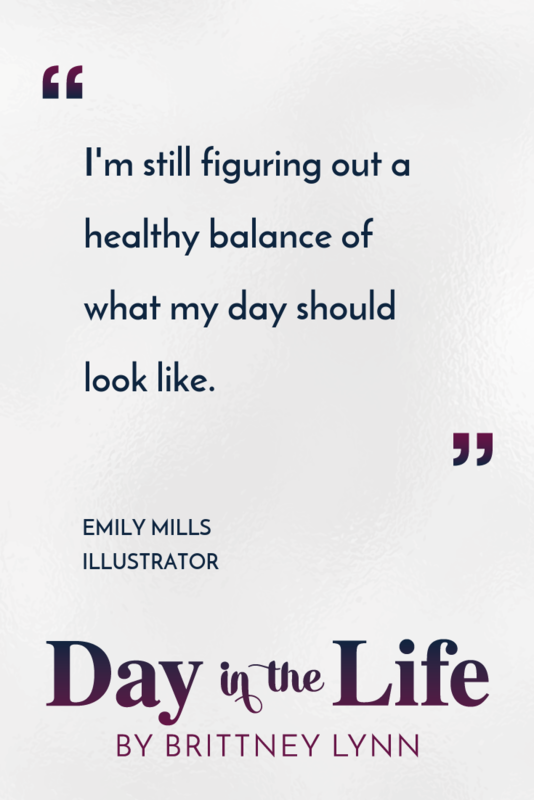 This week I chatted with Emily Mills who is obviously a creative and artistic genius. I made it clear how much I lack the skills to draw or be artistic in any sort of way, but after last week’s minisode about stopping myself from saying that I “can’t” do something, I’m trying to change my language and how I speak about my drawing skills. I then started looking into how drawing can positively impact your days — and boy, I found a lot of research on this! 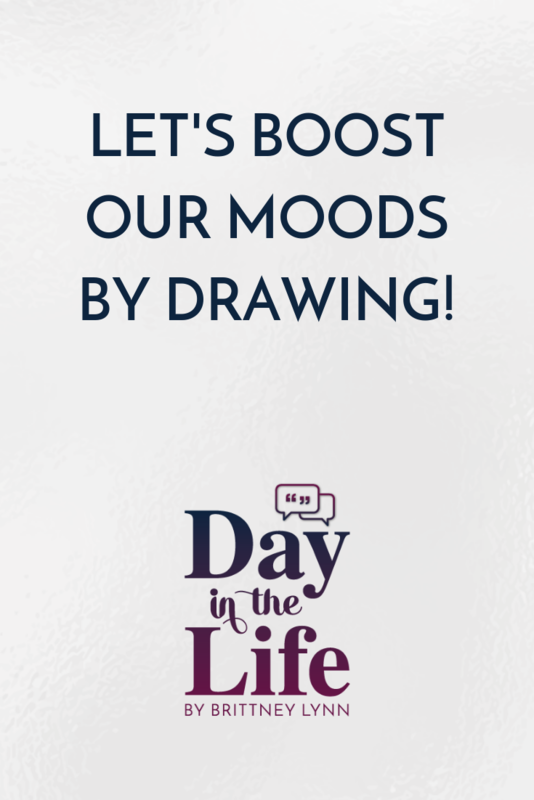 Tune in to find out how drawing can boost your mood and positively impact your day to day life! Affiliate disclaimer: Heads up! There are affiliate links in this blog post. What that means is if you click on a link and then make a purchase, I make a small percentage of money because I referred you. This comes at no additional cost to you. I only share products and resources that I trust and that I know will help you in your business. Grateful for your support! 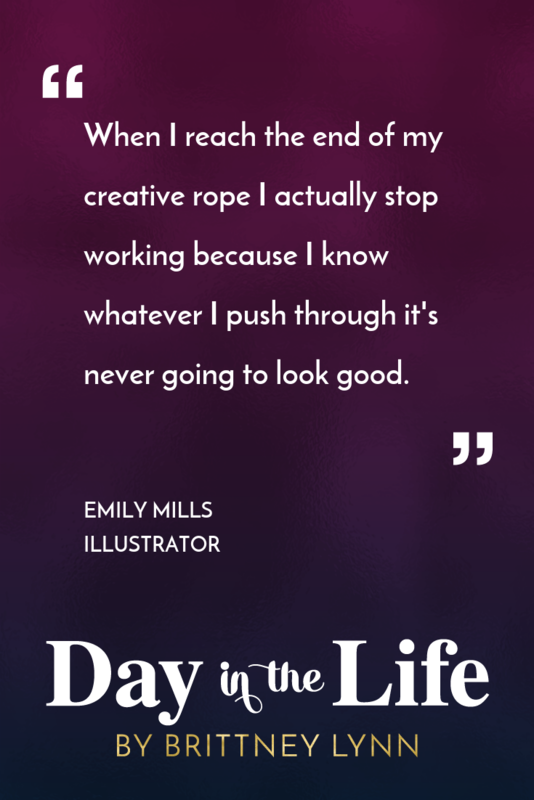 Today’s interview is with Illustrator Emily Mills! Emily & I met a conference last year and I got to see first hand what her illustration work looks like (I admit me creeping on her during the conference, ha!). We dive into what it’s really like to be a full-time illustrator: She shares how she got started in the industry, how she uses illustrations to tell a story, what kind of clients she works with, how she gets inspired when she’s not feeling creative, what she struggles with, misconceptions people have and so much more! Join in the conversation with other Day in the Life listeners in the Day in the Life Facebook group! Also…if you’d like to submit a guest for an upcoming episode, head on over to our website to submit! 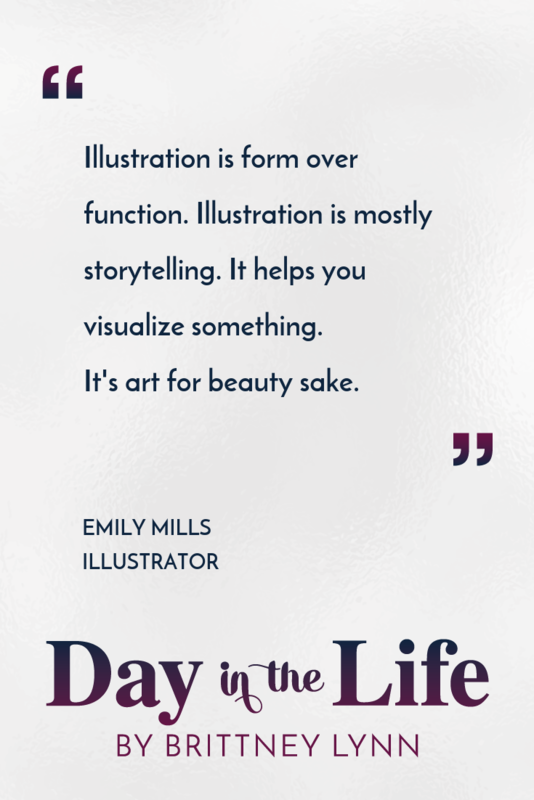 If Emily always wanted to be an illustrator and how she got started. How Emily uses illustrations to tell a story. What she does to get inspired when she’s not feeling creative. Her favorite type of illustrations to do. What she struggles with most in her career as an illustrator. Common misconceptions people have about the illustration community. One piece of advice she’d offer to someone who wants to become an illustrator. 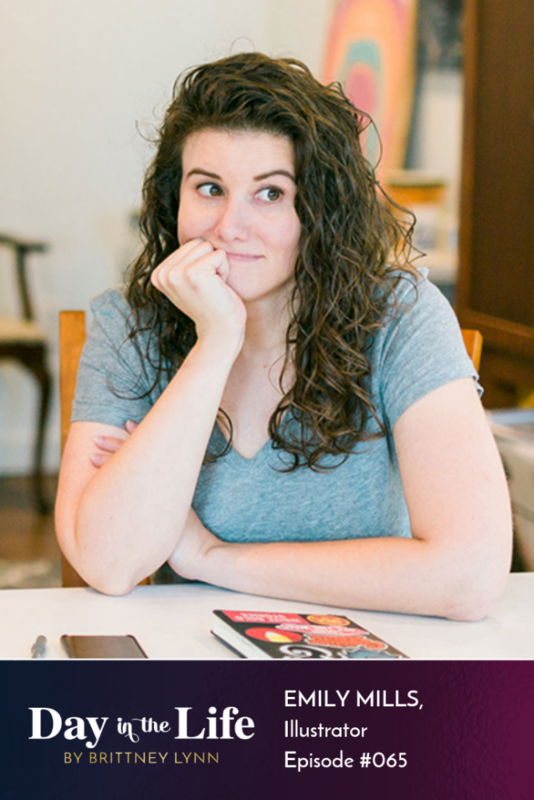 Emily Mills is a freelance illustrator, a sketchnoting fanatic, and author of “The Art of Visual Notetaking.” When she’s not serving her own clients, you can find her teaching online classes at SketchnoteAcademy.com. Emily lives just outside Nashville, TN with her husband. 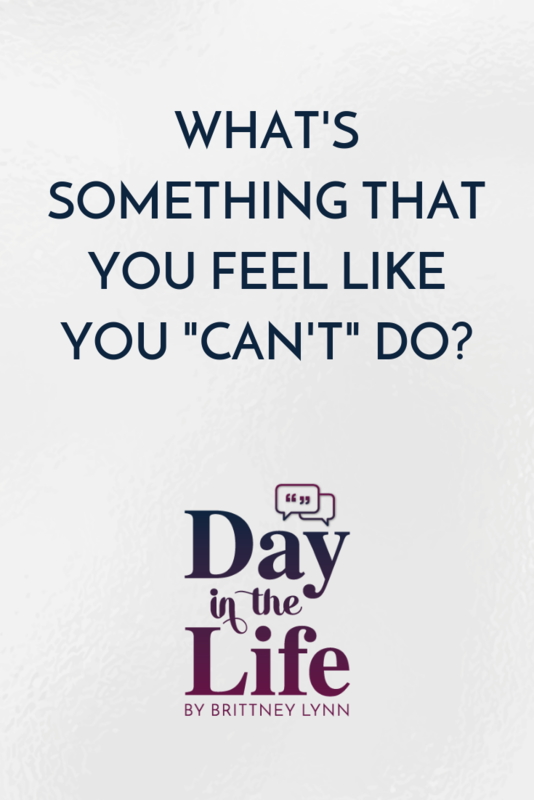 What’s Something That You Feel Like You “Can’t” Do? 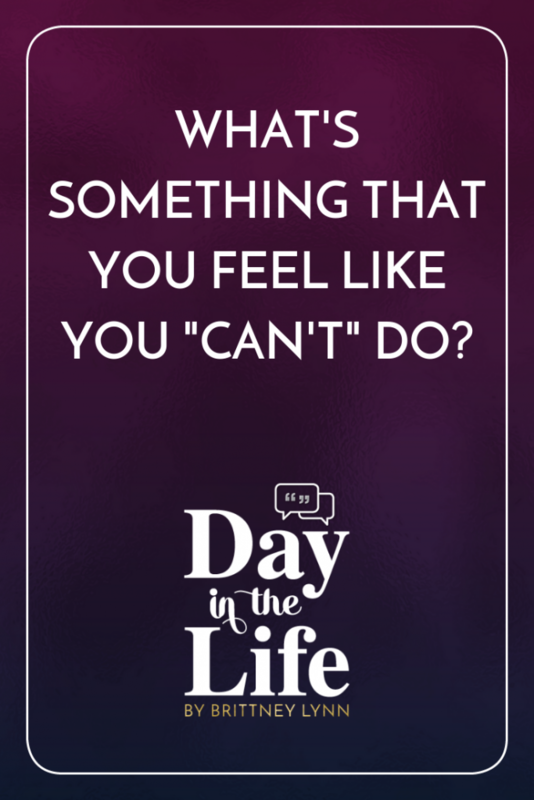 This week I chatted with Sandy and Jeni from Namastream and our conversation got me thinking about how people approach things they feel like they “can’t” do. 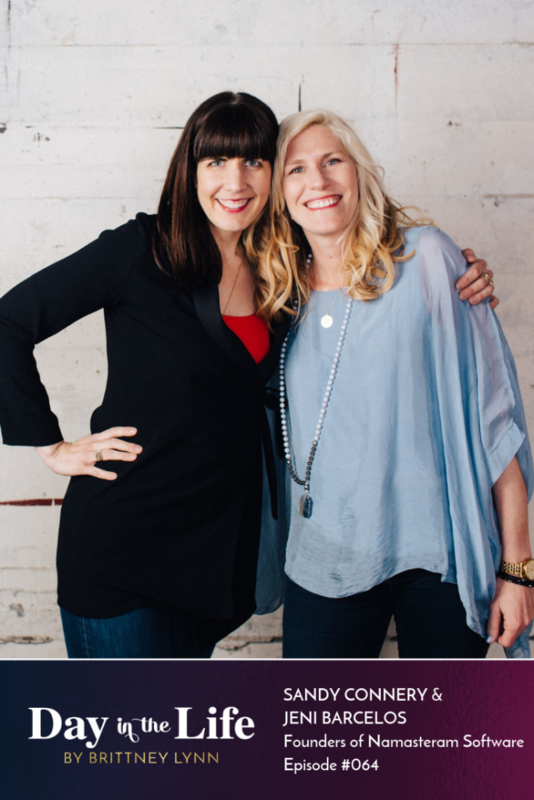 It was eye-opening to me that neither Sandy nor Jeni had a software engineering background, yet here they are, creating an incredible software company. Like, have you told yourself your entire life that you “can’t” do something for one reason or another? I know I have. While I’m certainly not going to be the next Michael Jordan or Picasso, I can, in fact do some of these things, I just don’t try because I won’t be the best or the expert at it. Tune into this episode to find what you can do to start doing that one thing you feel like you “can’t” do, but have always wanted to. Today’s interview is special because it’s another double interview! We haven’t had one of those since interviewing World Travelers Lisa & Peter Hoppe. 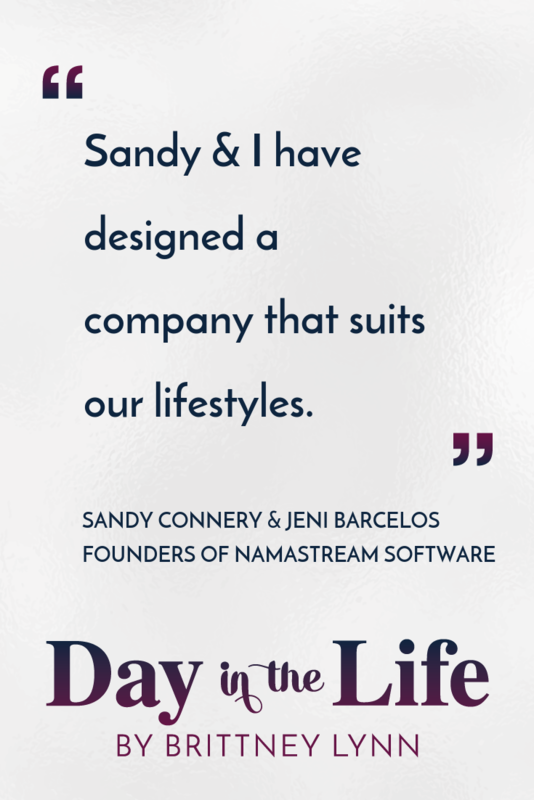 Anyways, I’m interviewing Sandy Connery & Jeni Barcelos who are the founders of a software company called Namastream. 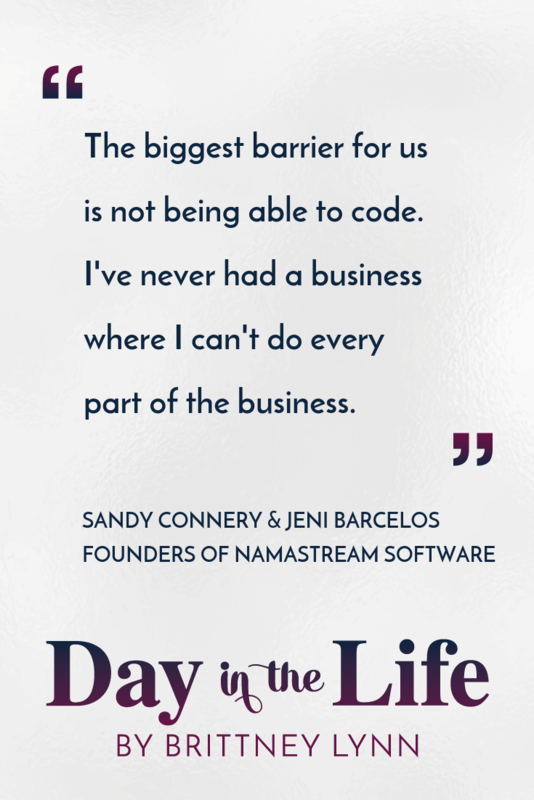 Sandy & Jeni did NOT have software engineering backgrounds at all when they started Namastream and as two female founders of a tech company, I thought it’d be great to get their insight on their struggles, successes and a peek inside what it’s really like to run a software company. We chat about the major challenges bootstrapping a tech company (they did not get venture capital funding), the specific challenges facing female entrepreneurs in tech, the biggest barriers they’ve had to overcome, misconceptions people have about working in the tech industry, advice to young women who want to work in tech and so much more. As always, you can join in the conversation with other Day in the Life listeners in the Day in the Life Facebook group! The major challenges of bootstrappng a tech company with no venture capital funding. Why they ultimately decided to not seek out venture capital funding. The specific challenges female entrepreneurs in tech face. The biggest barriers they’ve had to overcome. Misconceptions about what it’s like to work in the tech industry. Advice to young women who want to work in tech. What lights them up the most in their career as founders of a tech company. Sandy is the co-founder of Namastream Software, Soulful MBA, and Connectable.Biz Software. After a twenty year career in footwear and gait analysis, Sandy sold her million-dollar brick and mortar retail business and clinic. She now brings her business experience to the online space where she loves to create community, teach, and inspire other women to find the freedom and impact they desire. 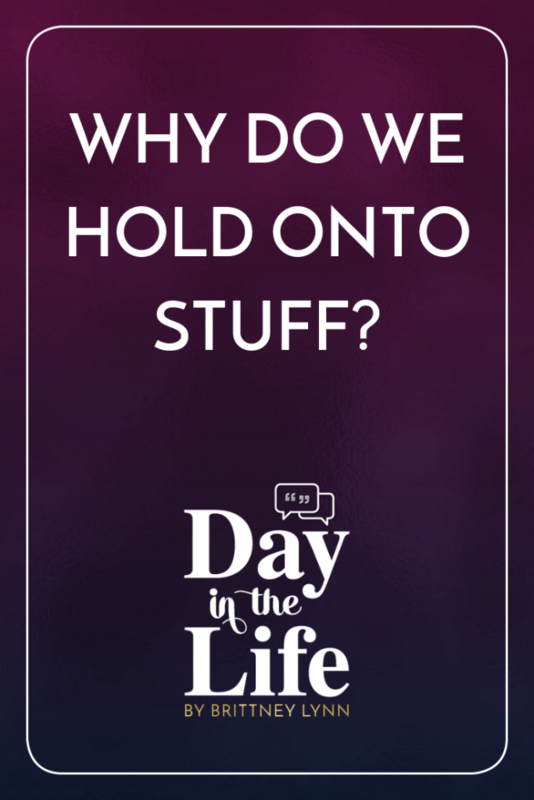 Why Do We Hold Onto Stuff? 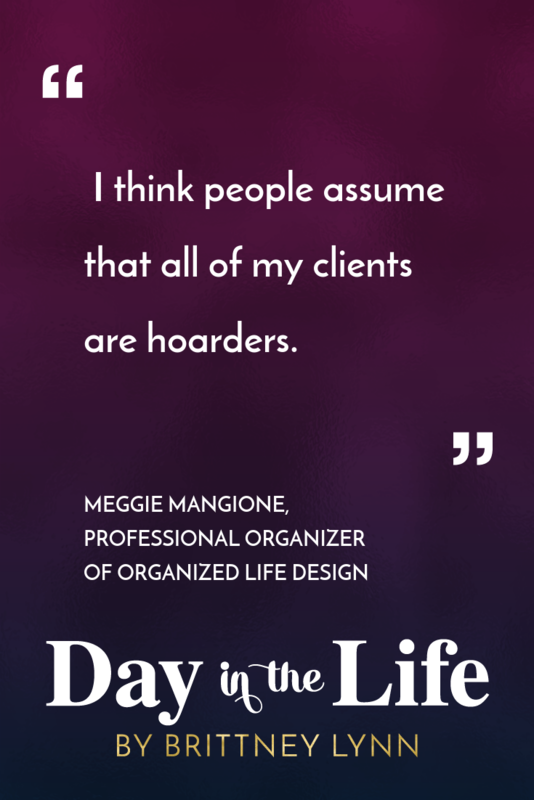 This week I chatted with Professional Organizer Megan Mangione and it really got me thinking about stuff and why we hold on to it. 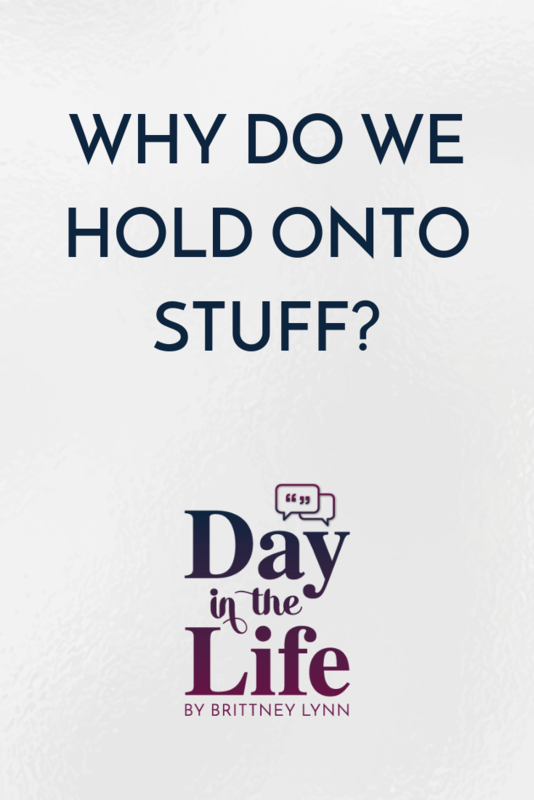 I researched a bit further into why we hold on to stuff, even when we feel cluttered, overwhelmed and disorganized. I’m definitely guilty of this and what I found through researching is exactly the reasons why I hold on to things. 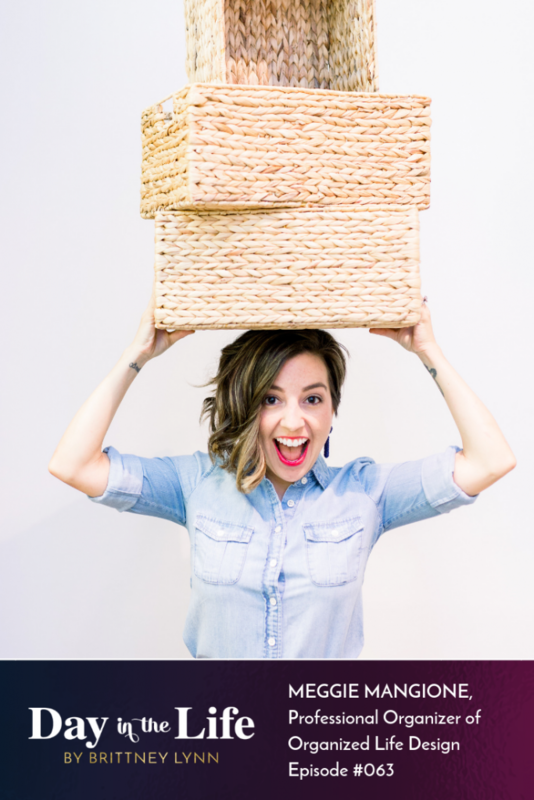 During this episode, I’m sharing what I found after diving into some research onto why we hold on to too much stuff and how I’m clearing out the physical and mental clutter in my life. Today’s interview was inspired after Marie Kondo’s organizing special came out on Netflix! With the organizing and purging crazy happening since the beginning of 2019, I thought it’d be a great opportunity to invite a professional organizer on the podcast! 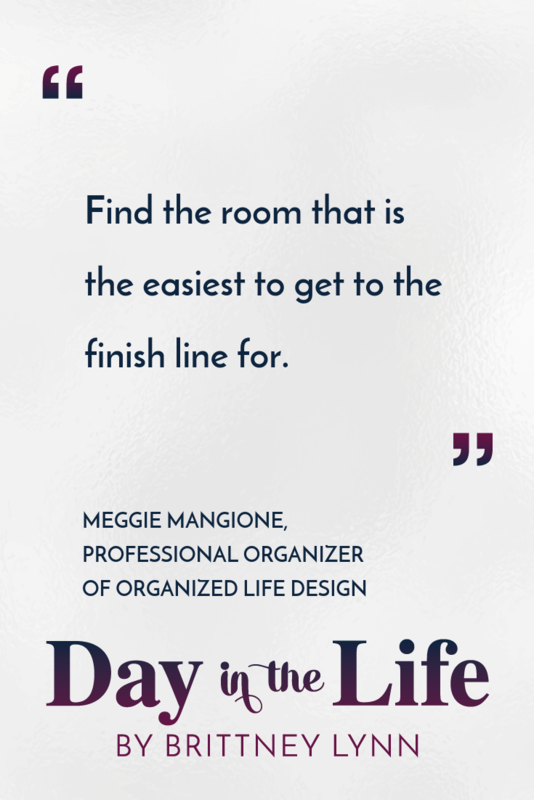 Today’s guest is Meggie Mangione who runs Organized Life Design out of Houston, Texas. Meggie shares common mistakes people make when it comes to organizing their home, where to start when you’re completely overwhelmed with the disorganization of your home, how to organize when you’re living in small spaces, how to keep things organized when you have small children, is having a junk drawer healthy or no, and what the heck to do with all of those holiday cards you get but don’t know what to do with come January 1st. 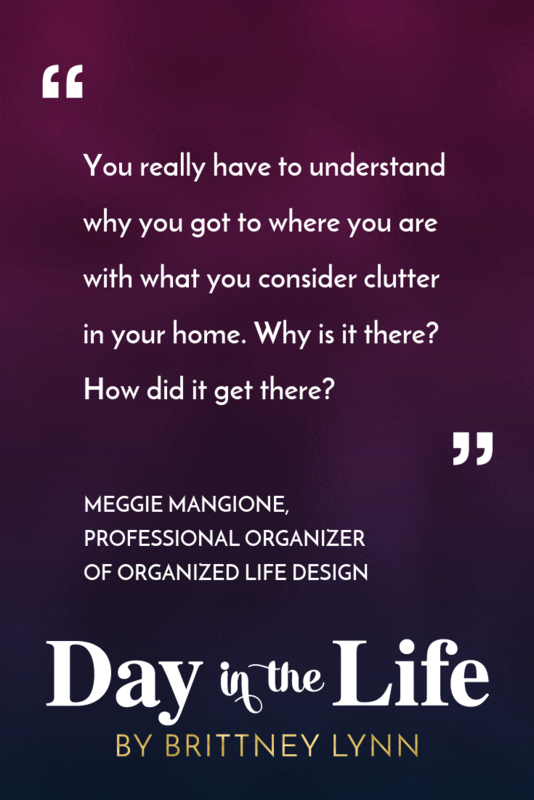 As always, I’d love to invite you to join the Day in the Life podcast Facebook group so connect with other listeners and we can talk about this interview…I’m SUPER excited about this minisode that goes with this week and we’ll be talking all about ORGANIZING! Common mistakes people make when it comes to organizing their homes and how to avoid it. Where to start when you’re completely overwhelmed with the disorganization of your home. Meggie’s best organization advice for people who live in smaller spaces. What Meggie suggest people do if they have special items that have meaning but they take up space and aren’t using them. Organization tips when you have toddlers/children. What to do with gifts you get from family members/friends that you don’t love. Misconceptions people have about what it means to be a professional organizer. What to do with Christmas cards after the holidays. 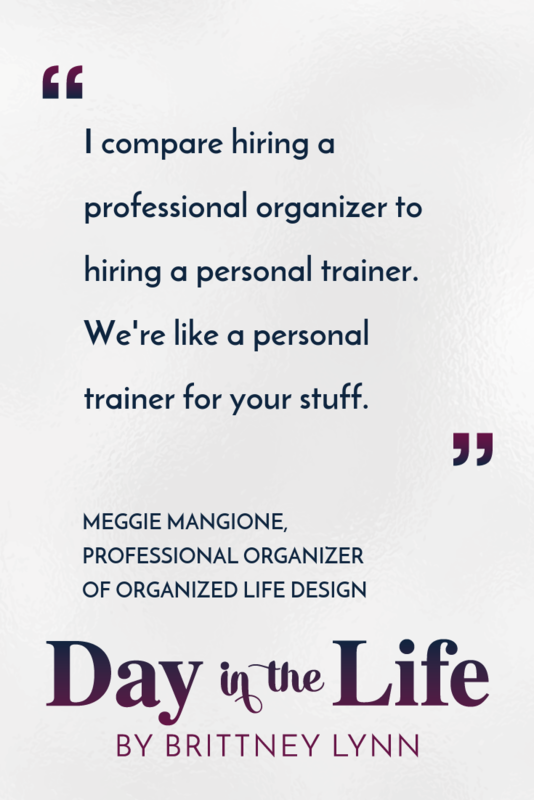 Meggie Mangione is the Owner of Organized Life Design and 5 year accredited NAPO Professional Organizer. She is also a partner of the Contained Home Team for The Container Store and leading a team of 4 through the adventures of organizing. When she’s not designing a drool worthy closet or dominating a garage project you can find her on the running trails or just chasing her two adorable toddlers! 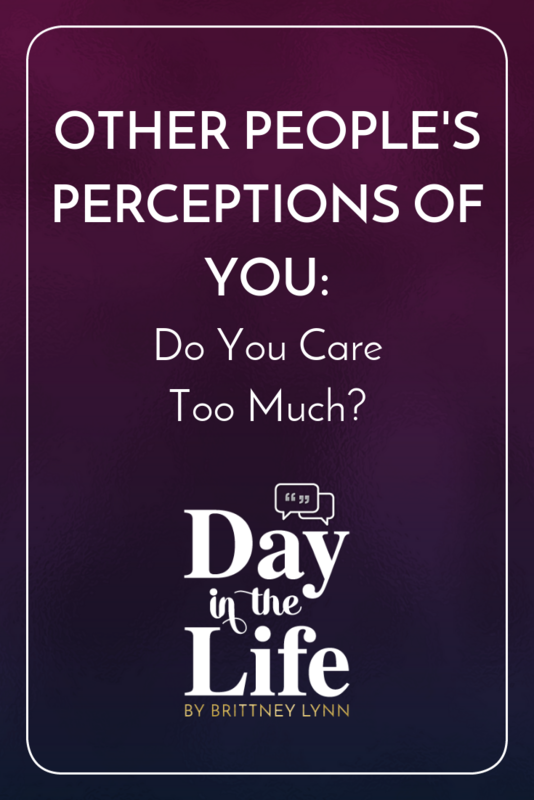 Other People’s Perceptions of You: Do You Care Too Much? Today’s minisode we’re talking about other people’s perceptions and if you care too much. 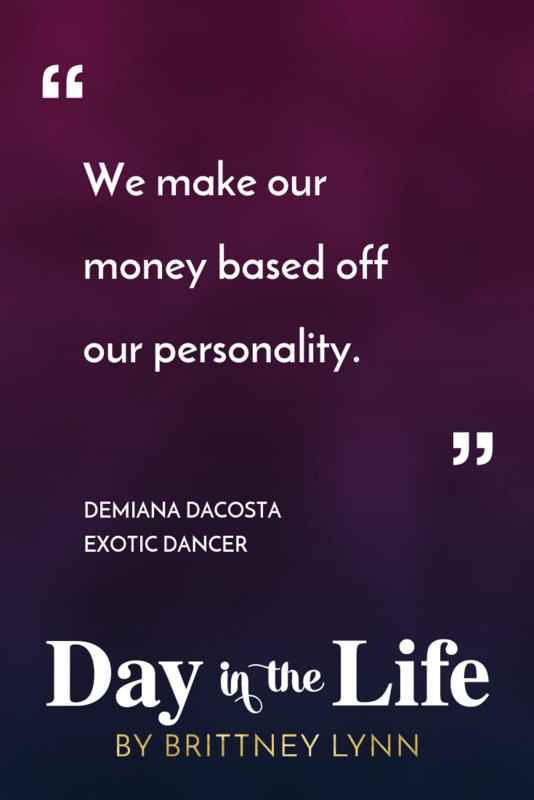 This week’s interview with exotic dancer Demiana may have been a polarizing one for you guys, but I wanted to continue the conversation by talking about other people’s perceptions of you and if you care too much. Here’s the thing: we all to some degree, for the most part, compare ourselves to other people. It’s a natural, human thing to do. It’s also natural to care about what other people think about you. It’s not necessarily a bad thing, to some degree it helps you be self-aware which I think is an important quality in people. But for a lot of us, we can care way too much about what other people think about us. And during my interview with Demiana and her sharing about what her friends and family thought about her career it got me thinking more on this topic. I for one am guilty of caring way too much what other’s think about me. I’m a people pleaser through and through and have struggled with this my entire life. 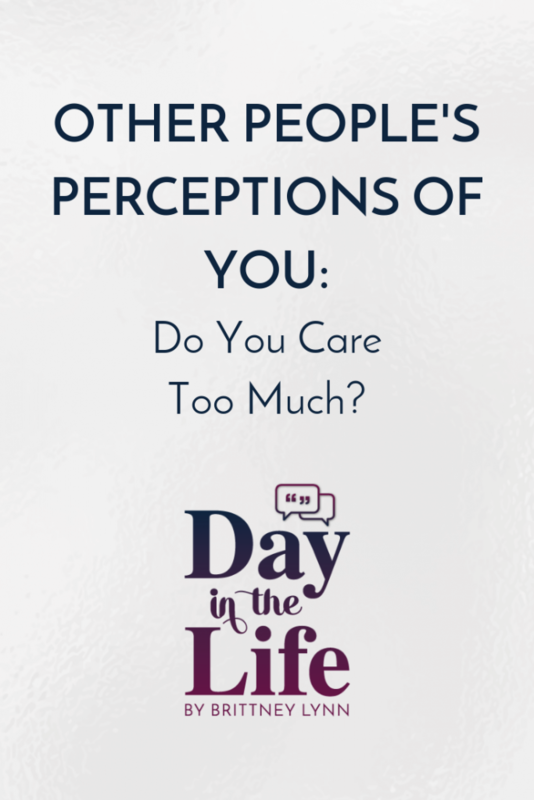 Tune in to learn how to know if other people’s perceptions are affecting your life too much and what to do about it. Today’s interview is perhaps a polarizing one…but honestly I learned SO much from this interview so I hope you’ll listen before making any judgments. 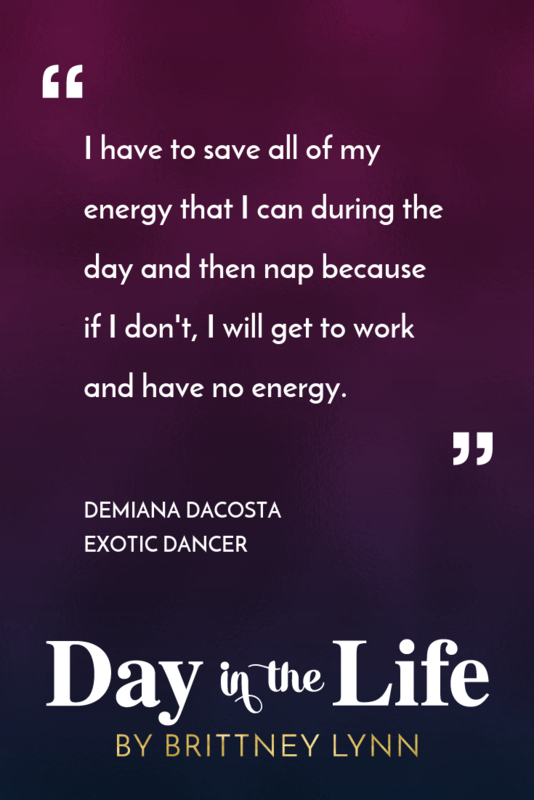 This week’s interview is with Demiana Dacosta who is an exotic dancer. Demiana actually pitched me the idea and if you’ve been a longtime listener you clearly know that I have not had on anyone anywhere near this background so I thought it was a great opportunity to broaden not only my understandings of this career, but yours too. Demiana and I talk about how she got started in her career as an exotic dancer, what her family/friends/and boyfriend think of her in this career, the many misconceptions and stereotypes about the industry, what a typical shift looks like, what the pay structure is for dancers, and a lot more. 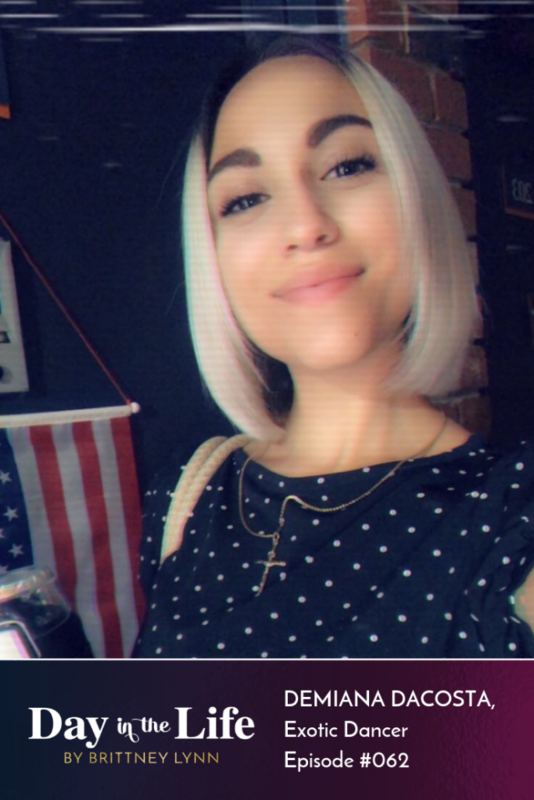 I really enjoyed my conversation with Demiana and I’m excited for you guys to tune in and learn too. As always, I’d love to invite you to join the day in the life podcast Facebook group so connect with other listeners and we can talk about this interview…I’m sure there will be opinions and I welcome them! 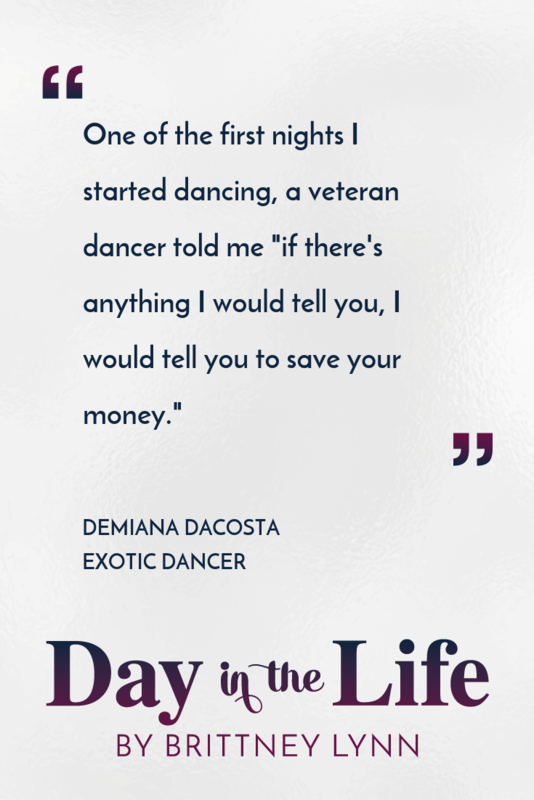 How Demiana got started as an exotic dancer. What she struggles with the most in her career as a dancer. What her family/friends/and spouse thinks of her being an exotic dancer and how it affects her personal relationships. The misconceptions & stereotypes people have about being an exotic dancer. The payment structure for exotic dancers. What a typical shift looks like.